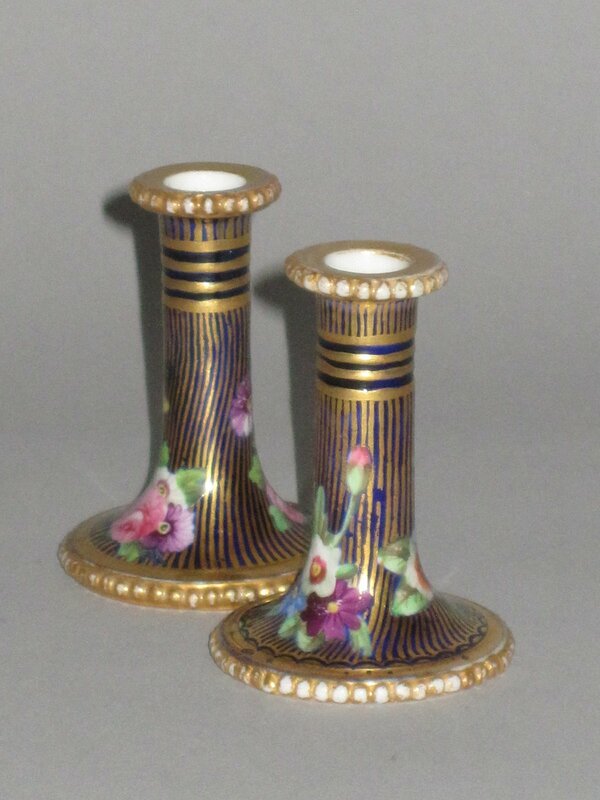 A RARE PAIR OF SPODE PORCELAIN CANDLESTICKS, CIRCA 1815. The sticks with beaded pearl borders and with flared stems. Decorated in the rare pattern of 2478 (marked SPODE 2478) of brightly painted sprays of flowers reserved on a ground of slightly spiraled fine gold lines upon a rich cobalt blue ground.